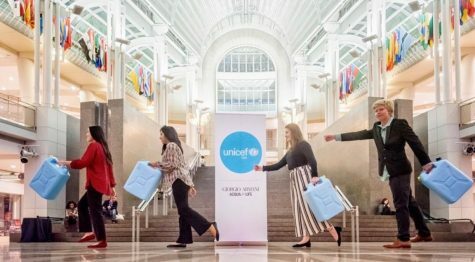 At the recent Model UN conference at the University of Virginia (UVA), senior Ben Purvis became a ruthless leader as he pushed through his agenda, and for his efforts, he was named Outstanding Delegate for his group — one of five that tackled real-world events in these diplomatic simulations. During a conference, Model UN replicates its own United Nations meeting where students act as representatives of different countries. Students must research to learn things like their country’s position on different problems concerning that country. These matters are then brought up in these conferences resembling United Nations meetings. 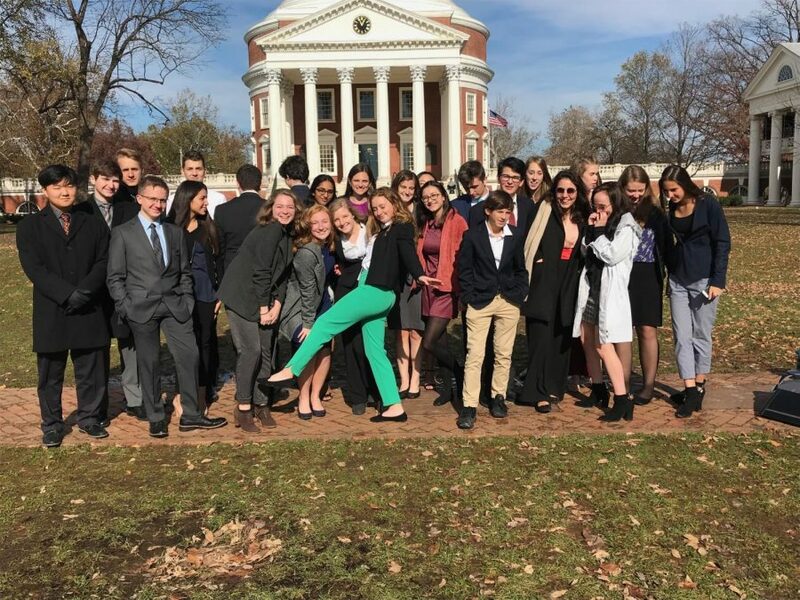 “This year we took 27 students to UVA, and we simulated a United Nations meeting which means our students represent different countries,” said Model UN sponsor Rachel Thompson, who primarily teaches IB Spanish. She explained that delegates at these conferences represent countries and therefore students need to thoroughly research into their assigned country’s positions are various political issues. 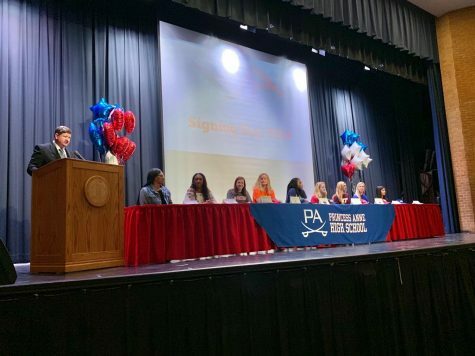 Overall, the PA Model UN club members thought that they did well for their own personal goals, but still think they could have done much better. “It wasn’t our best showing. 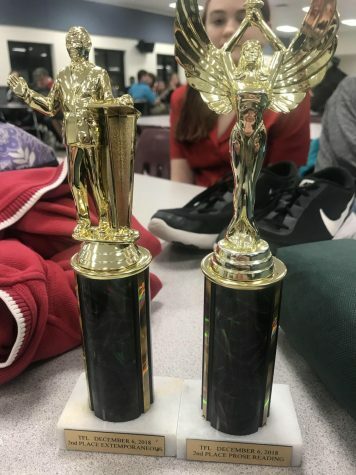 We’re hoping to get more ‘Best Delegates’ and ‘Outstanding Delegate’ recognitions at ODU,” said Thompson, who mentioned that the next Model UN conference will be in February at ODU. Several new members to Model UN were able to experience a conference for the first time, learning new skills in the midst of heated debates. 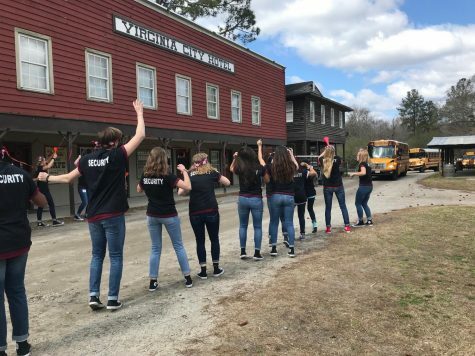 “We were happy that we got so many new people that were interested in this,” said senior Sasha Frederic, who holds a leadership position in the club. 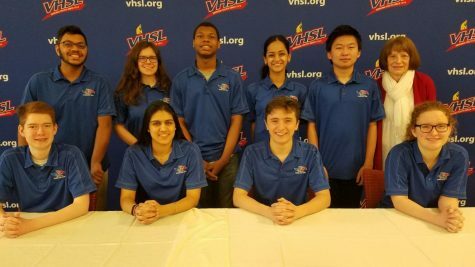 “They picked up skills that we had to know for the conference really easily, and overall I think everyone felt comfortable, and I thought they did well for their first conference,” said Frederic. 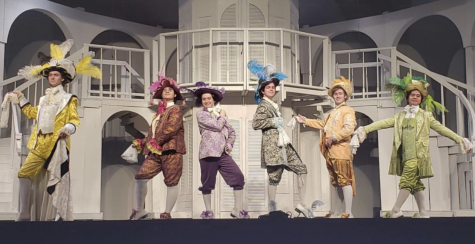 “My partner and I, since it was both of our first times, didn’t really know how to prepare so we were really scared the first night, but we did a little bit of research, and we had to write our position paper because it was due before we went, but we definitely were prepared enough because we were able to participate enough,” said junior Ciara Gill.